Mental stimulation is a long-proven way to achieve mental agility and to boost mental wellness. Bingo is an excellent way to stimulate the mind, while also providing several added benefits such as socialization, and the feel-good element of participating in a game. All these factors together go on to make this age-old game a favorite among people wishing to achieve holistic mental wellness. Bingo has particularly been found to be beneficial among the elderly, with its simplicity and enjoyment making it less of a task, and more of a favorite pastime among this age group. However, this game is not limited to any age-group, and can be enjoyed by anyone wishing to engage in light mental stimulation and socialization. Several studies have been performed to determine the positive effects of Bingo on the brain, and it has repeatedly been proven that people who regularly play the game report an improvement in memory, accuracy, decision-making and mental speed. Additionally, these people also reported a boost in their mood. All these factors make Bingo a great choice of activity for those looking for ways to keep their brain active, and slow down mental decline. Bingo provides right amount of mental stimulation and hand-eye coordination, without getting too stressful. This combination of stimulation and relaxation translates into positive effects on the brain, by a good balance of various neurotransmitters. Moreover, bingo is also a great way to promote cognitive skills in players, since the model of concentrating on numbers in an environment of distractions helps to increase skills that are important for building focus. This is very helpful in everyday life, as it makes it easier to multitask and focus in any environment. 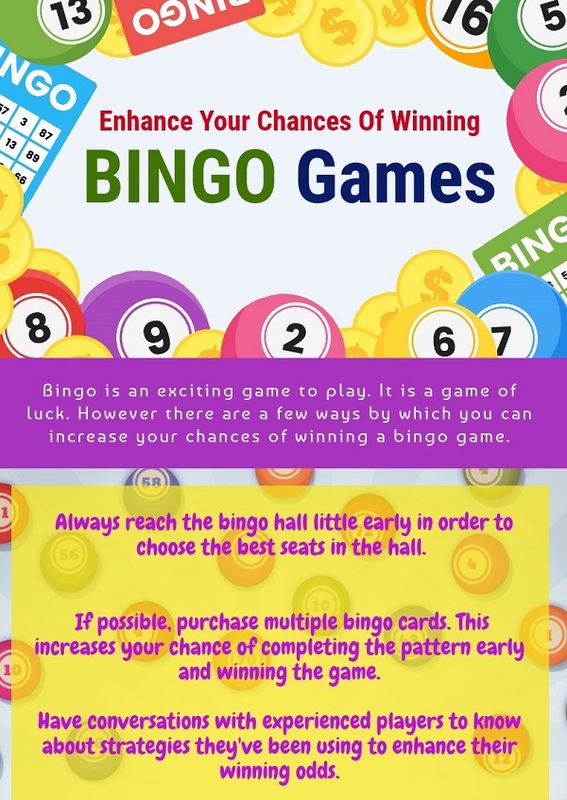 The best part about Bingo is that it is very easy to learn, which is why it is preferred by a wide range of people looking for a new pastime at different stages of life. Since this game does not require any long-term memory, or intricate skills, one stands the chance of winning despite being a new player. Being on an equal platform as other players gives new learners a boost thus encouraging them to continue playing. Finally, the benefits of social aspects of Bingo cannot be overstated. This is true for seniors, who are most prone to loneliness. Bingo brings the players together on a regular basis, which helps to foster strong social ties, which in turn lead to a boost in mental wellness.